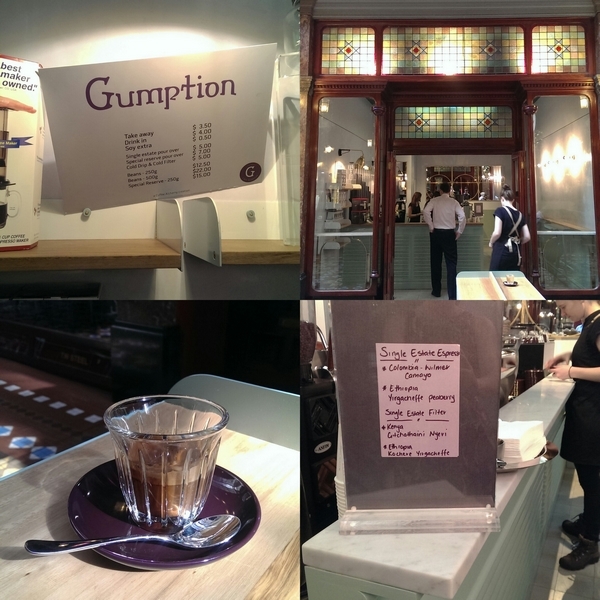 Serving coffee and coffee only, no brownies, no banana bread, no toast and nary a canelé in sight, Coffee Alchemy’s ‘Gumption’ launched last week with little fanfare and much positive word of mouth. You’ll find it on the ground floor or the iconic Strand Arcade on Sydney’s Pitt and George Streets. Browse through writeup after writeup after writeup featuring the ever-humble Alchemy co-owner Hazel de los Reyes and you won’t be surprised by this lack of self-promotion. Although de los Reyes and Alchemy have won a slew of awards and are generally regarded as pilgrims of specialty coffee in New South Wales, they’re eager to let their coffee speak for itself. 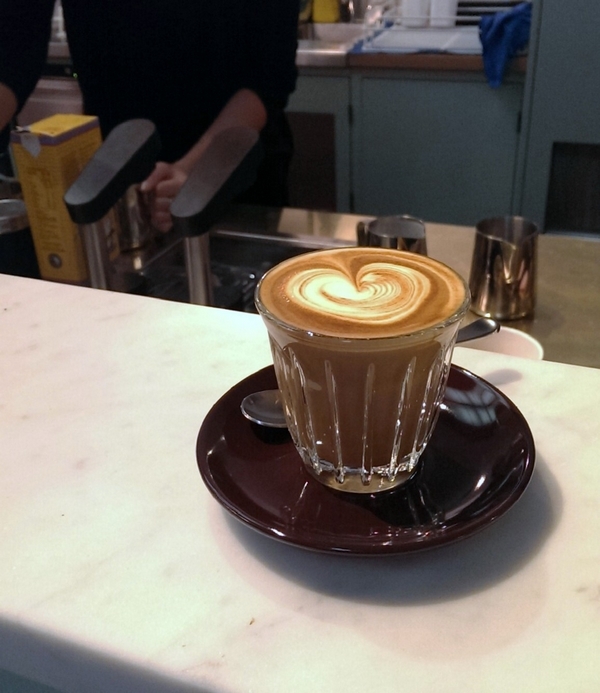 Here’s what to expect at a place that serves coffee and coffee only. Expect to pay at least $4. Order and pay at the counter. Ask for a glass of water. Take a seat at one of turquoise benches. You may have to wait a while. One of the staff will bring you your brew. They will tell you what it is, and, whatever it may be, they will sound absurdly enthusiastic about it. Drink your coffee. Sit in the lovely Strand arcade (or, if there’s no room there, cram yourself into the standing room only section inside) and scrape out every. last. dab. of caffeine with that perfectly shaped spoon they have helpfully provided you. Have a lovely day. 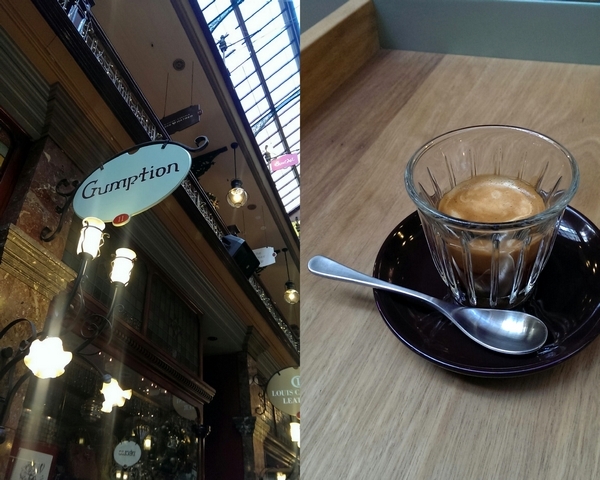 In case you can’t tell, the large handful of visits I’ve had at Gumption have left me pretty impressed. They just really care about their coffee so damn much, and they know what on earth they’re supposed to do with it. I was always an Alchemy fan, but Addison Road is a long way from home, and this little nook is right on my way to work. And I love a place where ‘I’m just having a coffee’ is the only option for ordering, rather than a statement that causes the waiter to give me the side-eye. So thank you, Hazel and crew, for setting up shop in the CBD. Long may you serve coffee at The Strand, and coffee only. Best write up about Gumption. Straight forward review with great content. Love it Lau! I agree with Raff. Love this review of Gumption. You tell it like it is, and I agree: the coffee will speak for itself. Here’s to more Gumption morning meet ups, Raff and Lauren! I like the concept of serving only coffee. I guess it means they’re super focused on getting it right. Haven’t been to Coffee Alchemy, I’m glad this place is close to work. Will check it out. Sounds awesome. And I, too, appreciate your brevity! Great review Lauren. Passed it during the mad Christmas rush but will check it out in Jan. Love how their focus is purely on the coffee! Hi Lauren, loving everything about your blog! Great inspiration and will definitely visiting these places on my next visit to Sydney! Keep up the great work!